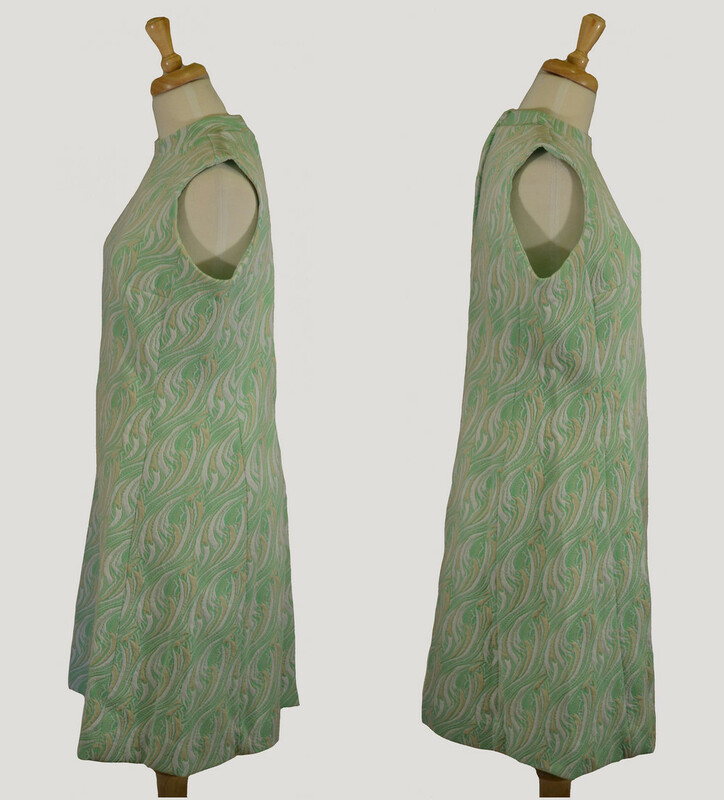 Please scroll down to see images of the 1960s Thoroughly Modish Mille Dress in greater detail. Material: The materials are not listed on the label, but I believe it to be a polyester blend with spandex (this baby has stretch!). Colors: Mint, tan, and white. 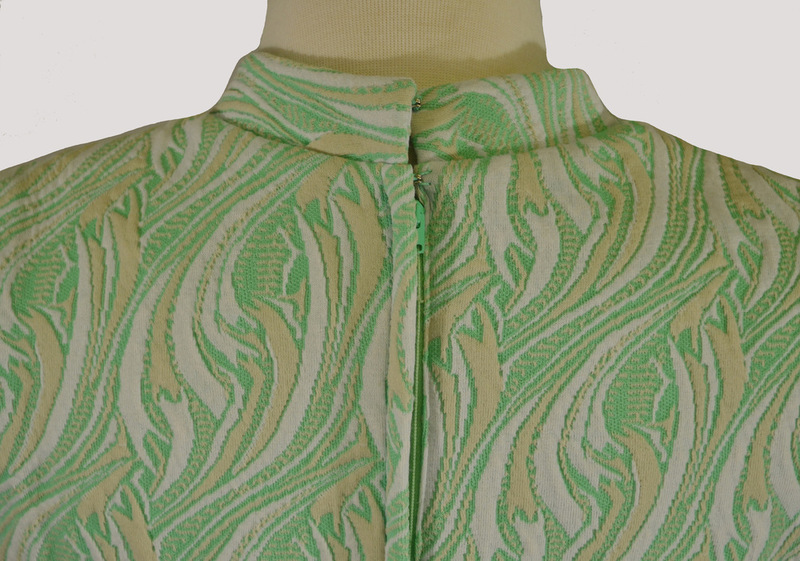 Closure: Single center back zipper (in matching mint) and two hook-and-eye closures at the back of the neck. The hooks are metal and the eyes are thread. Label: Barnsville Park Suite Collection. Interested in learning about how we rate and measure? Overall, this dress is in fantastic shape, but there is some very slight pilling around the collar from wear. The thread eyes show minor wear. The back center zipper, about 2" up from the bottom, seems to move slightly left. Label, located inside the upper right shoulder area.